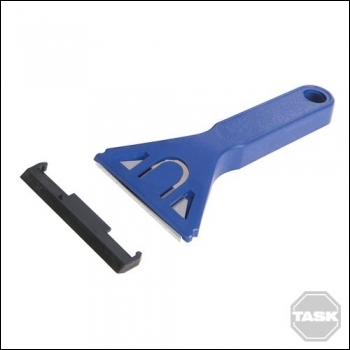 Scraper with durable plastic construction. Sharp removable blades. Ideal for general purpose use. Blade guard included. Length: 140mm.